Ever since I was young I have been involved in sports, with basketball being my main focus. During high school I played basketball and I also volunteered for the Fitch Middle School girls basketball team, where my Dad was the coach. After graduating, I was in search of a new way to continue staying active. This is when I began weight training. At first it was a great alternative, but soon after I found myself getting bored of the same routine week after week and I missed that competitive aspect that I got from sports. In early 2011 my cousins and brother told me I needed to try out CrossFit. I wasn’t familiar with CrossFit at the time, but I figured if my family enjoyed competing and exercising together I needed to get in there! I walked into CrossFit Groton to my first WOD ‘Helen’ and found myself doing jumping pull-ups with my brother beside me doing strict pull-ups. I was not happy about this! The workout left me wanting more and couldn’t wait to come back the next day. Three months later I got my first pull-up! I’ll never forget that feeling of accomplishment, and still get that same feeling every time I reach a new goal. That feeling transcends when I see someone in the box reach their accomplishments as well. We can all come together as a community and celebrate because of that understanding. CrossFit has opened my eyes to a new way of training that I could never achieve in a Corporate Fitness gym. I can see that in the other members as well. The past four years I have been in and out of different boxes and gyms trying new things, including a competitive fitness competition. After competition there is a common struggle with adjusting into the normal routine again. I returned to CrossFit for that need and wound up stronger and faster than I have ever been! 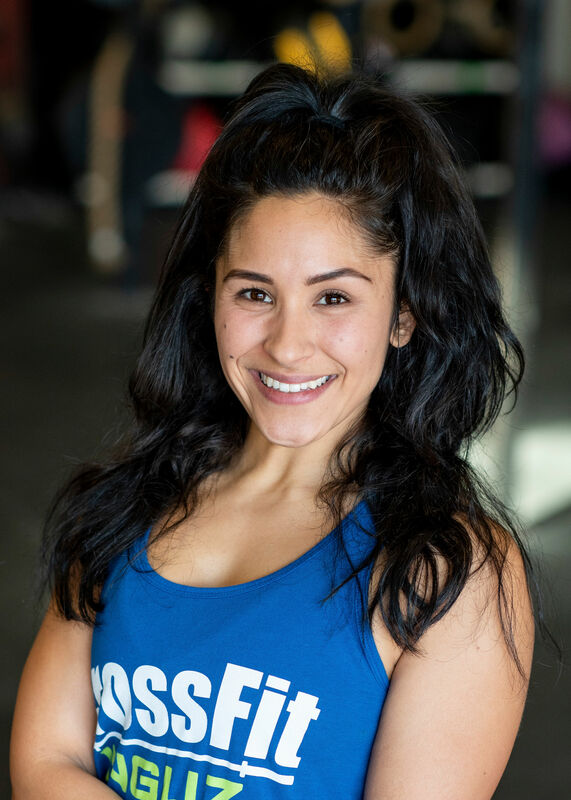 I truly enjoy what I do, and my goal is to share that passion and intensity with you every single day that you step into the box at CrossFit Inguz!